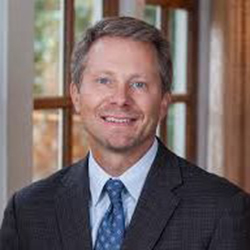 UNC Interim Chancellor Kevin Guskiewicz has served as dean of the College of Arts & Sciences since January 2016, overseeing the largest academic institution at UNC-Chapel Hill. The college has more than 17,000 undergraduate students and 2,400 graduate students, and it encompasses more than 70 academic departments, curricula, programs, centers, and institutes. Guskiewicz has made interdisciplinary teaching and research a cornerstone of his tenure, promoting the development of courses that span disciplines across the arts and sciences. He has championed the use of high-structure active learning techniques, making the university a national leader in implementing these evidence-based, highly effective strategies. Under his leadership, the college played a major role in developing and implementing UNC-Chapel Hill’s five-year Quality Enhancement Plan, “Learning by Connecting, Doing and Making.” He is also overseeing a major revamping of UNC-Chapel Hill’s general education curriculum — the first significant overhaul in 12 years. Guskiewicz is a neuroscientist and nationally recognized expert on sport-related concussions. He maintains an active research portfolio and is principal investigator or co-investigator on three active research grants, totaling over $16 million. His groundbreaking work has garnered numerous awards, including fellowships in the American College of Sports Medicine, the National Academy of Kinesiology, and the National Athletic Trainers’ Association. His research has also influenced concussion guidelines and recommendations made by these organizations, as well as the NCAA and the NFL. A member of UNC-Chapel Hill’s faculty since 1995, Guskiewicz is the Kenan Distinguished Professor of Exercise and Sport Science and co-director of the Matthew Gfeller Sport-Related Traumatic Brain Injury Research Center and director of the Center for the Study of Retired Athletes. Guskiewicz earned a BS in athletic training from West Chester University, an MS in exercise physiology/athletic training from the University of Pittsburgh, and a Ph.D. in sports medicine from the University of Virginia. Before becoming dean, Guskiewicz was senior associate dean for the natural sciences and chair of the Department of Exercise and Sport Science.